MENLO PARK, Calif. (AP) -- False news that erroneously named a suspect in the deadly Las Vegas mass shooting on Sunday spread on Google and Facebook before the services removed the posts in question, the two companies acknowledged Monday. Erroneous posts on both services -- one highlighted by Google's "Top Stories" search results, the other circulated by Facebook users -- falsely identified the shooter as an apparently uninvolved person. 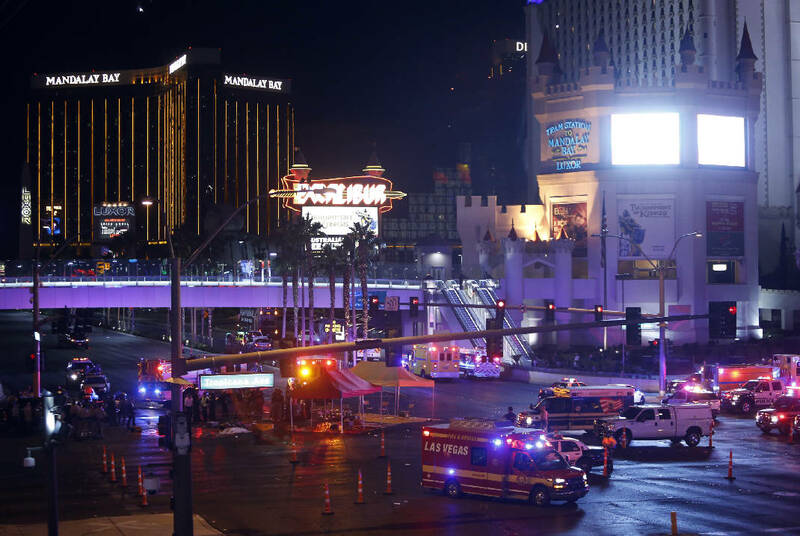 Las Vegas police say Stephen Craig Paddock, of Mesquite, Nevada, fired down on concertgoers from the 32nd floor of the Mandalay Bay casino hotel, killing at least 59 people and wounding more than 500 in the deadliest mass shooting in modern U.S. history. Paddock killed himself as authorities closed in. But a story by the pro-Trump political website "The Gateway Pundit" named a different person as the shooter, citing a Facebook page to claim the individual was "a far left loon" and "a Democrat who liked (MSNBC host) Rachel Maddow." Posters on the anonymous, anarchic 4chan.org forum likewise trumpeted supposed findings that the same individual was both the shooter and a "social democrat." BuzzFeed saved screenshots of the stories, which no longer turn up on either Gateway Pundit or 4chan. Google said in a statement that it highlighted 4chan's "Politically Incorrect" message board, where the incorrect posts appeared, for several hours before its search algorithm replaced it with more relevant results. The 4chan result only appeared if users entered the erroneous name as a query, Google said. The listing did not appear in Google News. "This should not have appeared for any queries," a Google spokesperson said, adding that the company would aim to prevent it from happening again. Facebook said its security team removed Gateway Pundit results and other similar posts from its social network, some within minutes. But because that removal was "delayed," the company said, images of the incorrect story were captured and circulated online. "We are working to fix the issue that allowed this to happen in the first place and deeply regret the confusion this caused," a Facebook spokesman said in a statement.